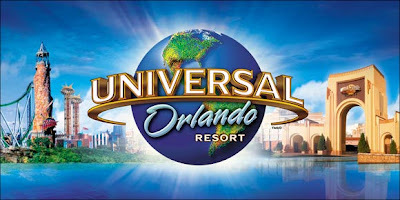 InSanity lurks Inside: Universal Orlando- More Ride Upgrades are Coming! Universal Orlando- More Ride Upgrades are Coming! Good News today from the Universal Orlando Resort! Universal Orlando has filed two "Notice of Commencement" projects with the city of Orlando's County Controller. Meaning two major attraction upgrades are coming soon, one in each of their current theme parks. This information came from the great folks at Parkscope blog, I swear they stalk Orange County for information! Either way the two rides now listed for Projection upgrades have needed it. In Universal Studios, The Simpsons Ride will receive new projectors, likely HD and Digital much like the upgrade last year of Spiderman. The next attraction, I don't know why they simply didn't build with them in place. Harry Potter and the Forbidden Journey will also receive new projectors- again probably HD and Digital. I admit, these are much needed. We recently visited both the Universal Orlando parks and compared to Spiderman and Transformers, both these rides now seem dirty and blurry. With the addition of new projectors the screens will also likely be cleaned, this tends to account for a lot of the random blur and darkness at theme parks. Money well spent, Universal isn't slowing down and I'm glad to see they haven't forgotten their other attractions in the wake of new construction!